Vita Perfetta Wish Bracelets are a dream come true! 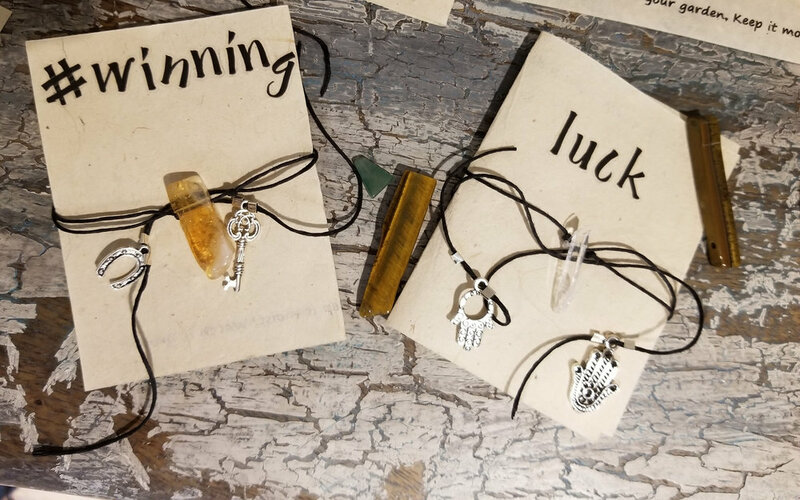 Choose from our natural crystals and charms. Then, watch the wish come to life as our artist creates your custom bracelet. What’s your wish? Blend rose quartz and hearts for love, or aventurine and stars for good luck. We package them in special seed paper that, when planted, grow beautiful flowers or funky plants. Wear your bracelet, then plant the seed paper. As the seeds grow, watch your wish come true! Faith, adventure, friendship, and more. Give your guests the gift they’ll never forget with Vita Perfetta Wish Bracelets.